Here’s the promo for the debut of Governor Palin’s Real American Stories which will air Thursday night at 10:00 p.m. on Fox. I am already inspired by the lives of these everyday Americans. I’m already even prouder to be an American. In one of the more anticipated moves of this early mid-term election season, Sarah Palin endorsed Florida’s Lt Col Allen West for Congress. 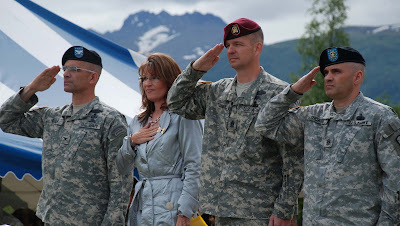 Sarah also took the time to highlight all of the heroic Americans who have left military life and now wish to serve our great nation in the capacity of lawmaker. 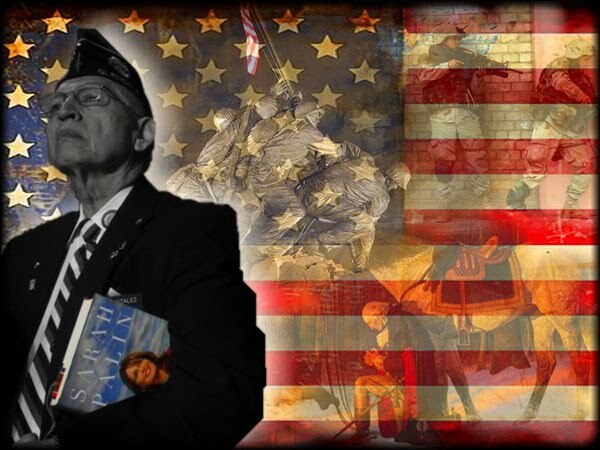 America, if you love your freedom, thank a vet! And if you’re looking for leaders who believe in integrity, service, and country first, look to our veterans. Last week I campaigned for a true American hero, John McCain, and this week I’d ask you to join me in supporting a new generation of heroes who are heeding their country’s call for leadership in Washington. There are a number of great veteran candidates running for office this year, and there are some excellent organizations dedicated to helping them, including: Iraq Vets for Congress and Combat Veterans for Congress (please click on the links to visit their websites). There are three veterans in particular I’ll be supporting this week. The first is Major Vaughn Ward, a fourth-generation Idaho native who grew up on his family’s farm in Shoshone and is running in Idaho’s 1st Congressional District. 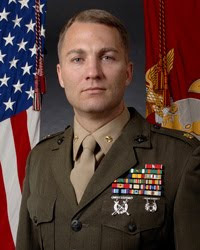 Coming from a family with a proud military tradition, Vaughn joined the Marine Corps after college and was finishing up his service when the September 11th attacks occurred. He put his life on hold and heeded his country’s call – serving first as a CIA Operations Officer and later volunteering with the Marine Corps for a combat tour in Iraq, during which he was awarded the Bronze Star with Combat V. After returning from Iraq, Vaughn went to work for the McCain/Palin campaign. I was grateful for his support then, and I’m happy to support him now because I know that he believes in the same commonsense conservative ideals that we cherish. Vaughn knows that real job growth comes from the private sector, not government. He believes in free market reforms, tax relief for families and small businesses, and a return to a constitutionally limited government that lives within its means. He’ll carry the conservative banner to Washington and will rein in the reckless growth of government to get it back on our side. And remember, a vote for Vaughn is a vote to remove the gavel from Nancy Pelosi’s grip. Please visit Vaughn’s website here to make a donation to his campaign, and follow him on Facebook and Twitter. The second veteran is Captain Adam Kinzinger, a decorated special-operations pilot who flew combat missions in Iraq and Afghanistan. Adam is running for Illinois’ 11th Congressional District against a freshman incumbent congresswoman who seemed to pull a bait and switch on voters to get elected. She sounded like a blue dog on the campaign trail, but didn’t vote like one in Washington. Instead, she voted in lockstep with the Pelosi agenda – on Obamacare, the stimulus, cap-and-tax – and the list goes on. She’s part of the reason for Congress’ 11% approval rating. Adam is a strong fiscal conservative with a proven track record as a reformer from his years serving on his local county board. Adam started out in local office, and, like many of us, believes in making government more accountable to the people. When you serve in local office, your constituents truly are your neighbors. Adam understands this, and I know that he will listen to his constituents and work for us, not against us, in Washington. Please visit Adam’s website here to make a donation to his campaign, and follow him on Facebook and Twitter. 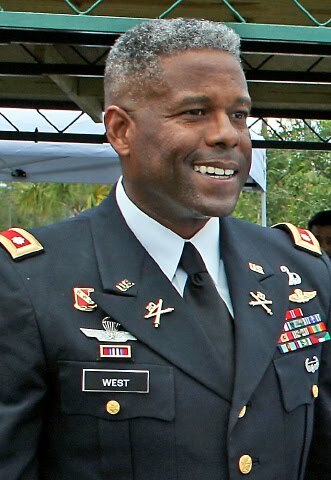 The third veteran is Lieutenant Colonel Allen West, a decorated war hero who’s served with distinction in combat zones in Iraq and Afghanistan. Many of you may have heard of Allen from a speech he gave last year that became a viral video on YouTube with over 2 million viewers. Allen’s personal story is a testament to the commonsense conservative belief that our nation’s greatness is rooted in freedom, because with freedom comes equal opportunity, and that, coupled with hard work, leads to success. Allen is a small government fiscal conservative running against a leftwing ideologue who’s marched to the beat of Nancy Pelosi on every issue from cap-and-tax to the stimulus, TARP, and, of course, Obamacare. It’s time to send Allen to Washington in his place. Please visit Allen’s website here to donate to his campaign, and follow him on Facebook and Twitter. I believe that these great veterans will fight for us in D.C. to uphold and defend our constitution as courageously in the halls of Congress as they did on the field of battle. I’m so honored to offer my support to these American heroes, and I hope you’ll join me in helping them so that they can serve us all in Washington. Here is the awesome video of Lt Col West speaking that Sarah was talking about. This man is a true patriot and a real leader. He will be a welcome voice of sanity in D.C.
All throughout our nation’s history, in times of peril, real American heroes have stepped forth to serve. We salute all of the brave men and women who sacrifice ever single day so we can be safe and free. These brave heroes that Sarah highlights are a special breed. They answered the call to defend the nation against foreign enemies, and now that great enemies have emerged from within, enemies of freedom, liberty, and the American way, they have once again answered the call of duty. These are strong leaders who seek to protect the greatest nation on earth, a nation men like them have fought and died for since her founding. They deserve our appreciation, our admiration, and most importantly, our support. Artwork by the lovely and talented Karen Allen.